A Highly Competent, Educator and Visionary. An alumnus of the Doon School & St. Stephen’s College, Dr. Sumer Bahadur Singh brings with him an experience of over three decades in the field of education and related fields. Dr. Sumer Singh was the Head of Daly College and Director Daly College Business School, Indore and Lawrence School, Sanawar and also served as Founder Director of the Asian School. Over the years he has served as Advisor Education in the Govt. of Punjab, as Chairman of the Indian Public Schools Conference, as Trustee and Advisory on the Executive of Round Square, UK and is currently serving on the Boards of World Leading Schools Association (WLSA), AFS India, Punjab Public School Nabha, Univariety and Indore Management Association. He is also an advisor to Mayo College Girls School, Ajmer and GCIS, Bangalore and Sai International Residential School, Bhubaneswar and a partner with GSD Schools, Spain for their Indian collaboration. 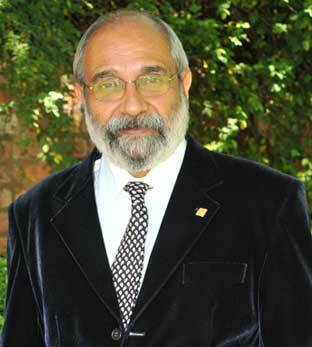 He received an Honorary Doctorate of Literature in Education from De Montfort University, UK. He has also authored five books: Doon (History), Daly College (History), Unity in Diversity (Religion), Aussie in India (Travelogue), & Indian School Education Revered to Reviled (A guide to School Management). A much respected and sought after communicator, he is a regular speaker on Global Citizenship and has been invited to speak in Spain, France, Czech Republic, Romania, China & India.